Every day in the United States, 10,000 people are turning 65. That will continue happening for the next 15 years—producing a major demographic shift and a corresponding explosion in the need for library services to older adults. “In the library sector, we always want to make sure that we are addressing the needs and interests of those who we serve in our communities, and in most of our communities, the older adult population has increased,” says Fatima Perkins, director of community outreach and advocacy at the Western Reserve Area Agency on Aging in Cleveland and former adult services manager at Cuyahoga County (Ohio) Public Library. In Cuyahoga County alone, the population of residents over age 60 is projected to increase from 21.3% in 2010 to 31% in 2030. And while the first wave of the baby boom generation has now turned 65, providing services to older adults doesn’t mean simply focusing on people who have reached the traditional retirement age. “We want to think about aging proactively, so we start thinking about people in the preretirement stage and plan from there,” Perkins says. For example, in 2014 and 2015, the AARP Foundation Integrated Services for Older Adults initiative gave grants to four libraries to develop services to adults over 50. Jacksonville (Fla.) Public Library used its grant to develop the JPL50+ program. “A lot of the programming we were already doing had attendees who were 50 and older, but we were able to enhance that service with the help of the grant,” says Lisa Buggs, coordinator of lifelong learning and community engagement. JPL50+ encompasses programming on technology, health, legal issues, music, and reading and writing. Many of these topics are commonly cited as important informational needs among baby boomers. But developing services for older adults in a community requires assessment of that specific community’s needs. 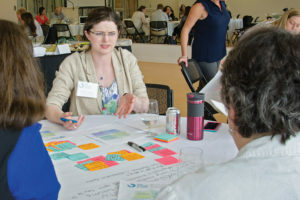 To develop JPL50+, the library combined a review of previous program evaluations, conversations with patrons 50 and older and the library staff members who had worked with them, and observations of successful programs at other libraries. Despite its success, JPL discovered that the need for programming exists throughout the system, rather than just in the central library. “Jacksonville is so big and widespread, it’s difficult for a lot of people to come downtown for programs,” says librarian Margaret Morford, the JPL50+ pilot project manager. At Westerville (Ohio) Public Library, services dedicated to older adults are even more local to those participants. They’re organized under the library’s outreach department and take place outside the library. 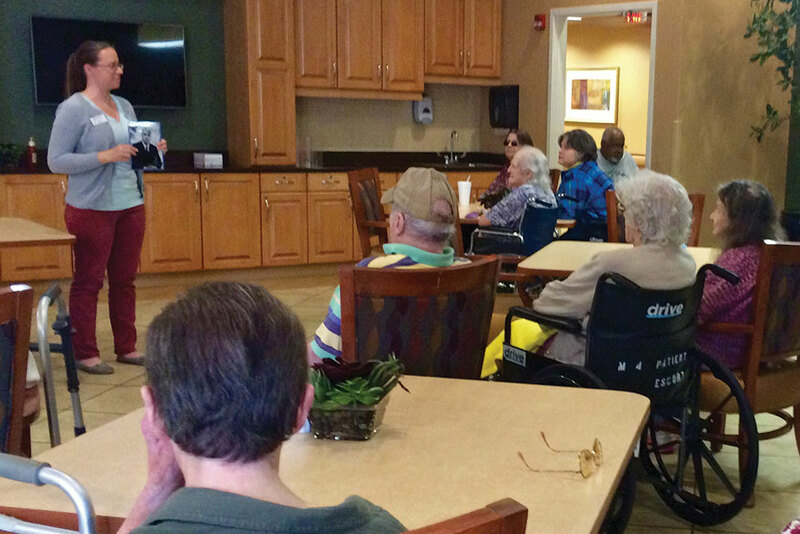 These services traditionally focused on delivering materials to seniors and the homebound, says Outreach Manager Julie Kerns. 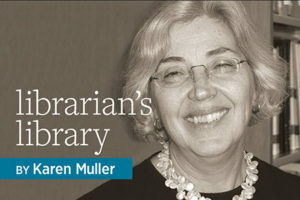 About three years ago, however, the library hired an outreach program librarian to also provide programming in senior centers, assisted living facilities, and senior apartments. Through conversations with the activity directors in these facilities and consulting with members of the Association of Bookmobile and Outreach Services, the library developed several programs, such as technology training classes, gaming sessions, a pen-pal program that pairs seniors with elementary school students, and the especially popular “Remember When” adult storytime program, which engages older adults to share their stories and memories based on a different theme every month. 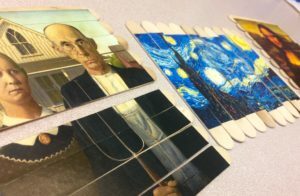 “You don’t need to spend a lot of money,” Kerns says, adding that most of the library’s program materials are made by hand. But patience is an important virtue, particularly in programming for people who may have memory issues.